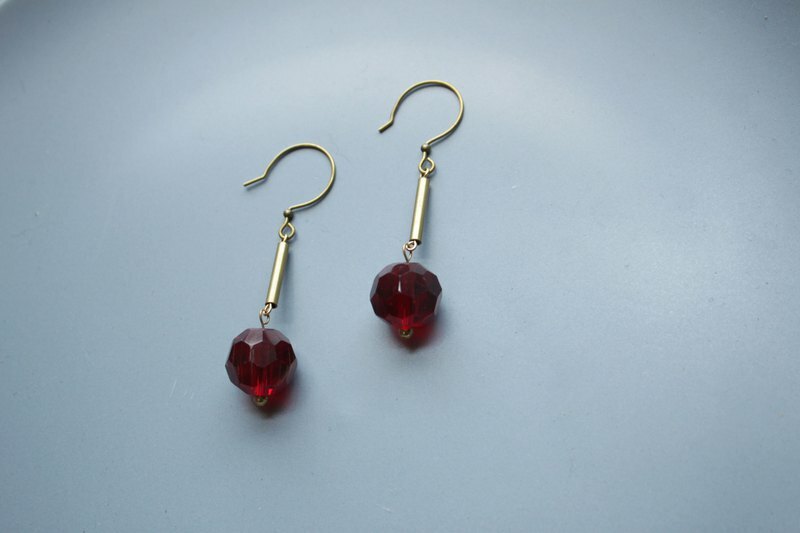 The material of the product: brass/Glass The length of the earring is about 4 cm. (not including the knot)　●The material of this product is natural stone. Thus, the color, the shape and the luster of per stone would be a little bit different. ========================== https://c2.staticflickr.com/2/1754/42636730271_e360d489bb_c.jpg ●The color and the type of stone of this product can be customized.